Hey, who said sandwiches have to be boring! I know, I know, with all those amazing poke bowls, rice paper rolls and burgeoning burgers available during lunchtime, those poor, soggy egg sandwiches often get left behind. But breaking down barriers one crispy B.L.T at a time and clubbing for your attention with their club sandwiches are these bread joints below. Po’ Boy ahoy! New friendly riverside resident, Mary Mae’s, has combined surf with toasted muffins to bring you the blessed Oyster Po’ Boy. Loaded with coleslaw and chipotle, you’ll be thanking the seven seas that you stumbled across this suggestion. Would you like us to assign someone to butter your muffin? Hot stuff coming through! 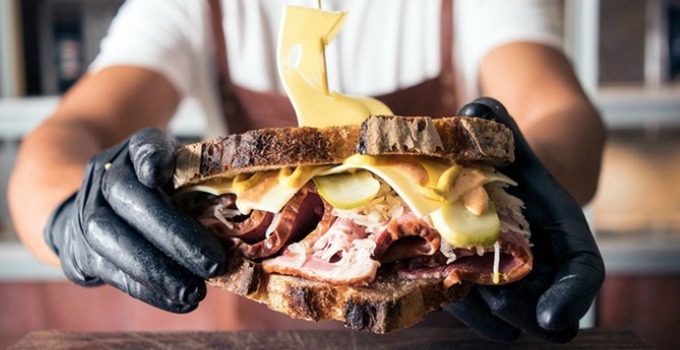 Beirne Lane has released a sandwich that’s as iconic as the man behind the venue. Katsu sandos, all served with slaw, can be filled with the likes of pork, beef, chicken, barramundi and tofu katsu, with kewpie mayo, tonkatsu sauce, and more (depending on what you choose). It’s alllll good. Great sandwiches are not born – they are bread by geniuses like the folks at Crafty Cuts. For a delicious meal that will leave you looking and feeling sharp, be sure to try Crafty Cuts unique pulled pork sandwich, filled with crunchy crackling and oozing apply chutney. Yes please! For an out-of-this-world bread and filling combo that will have you saying, ‘Oh my!’ delve into Café O-Mai’s bahn mi range. A lunchtime staple in Vietnam (and we can taste why! ), their tender baguette bases made delicious with lemongrass tofu or surprise specials each week have us coming back every mealtime. There are countless sandwiches combos out there in the world, but it’s the classic Reuben that rules the roost. And Tippler’s Tap’s take on Rueben is one of the crispiest in the business, especially when paired with their cooling craft beers or delicious ales. If your feeling burnt out, there’s nothing like a Melt Brother’s toasted sandwich to help you get fired up! And our top toastie pick is their super flavoursome M.C. Cheesy, filled macaroni and cheese, maple bacon, smokey BBQ sauce, aioli, mozzarella and cheddar. 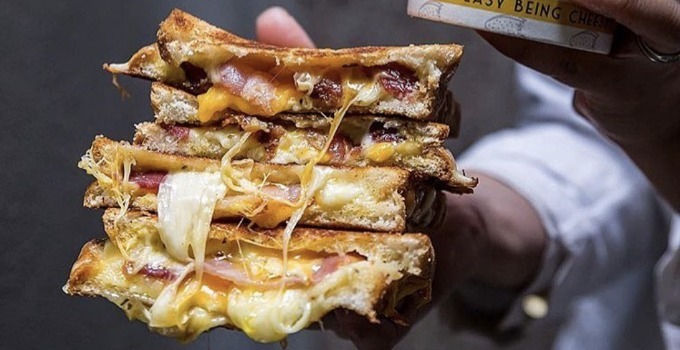 It ain’t easy being cheesy, but the Melt Brothers do it so well! It’s Brooklyn baby, and these hipsters know all about how to up the ante on your soggy sandwiches. Hence, be sure to sink your teeth into Brooklyn Depot’s delicious French Dip Sandwich, an exceptional combination of tender beef brisket with provolone cheese and caramelised onions on baguette. If you’re just a poor boy (nobody loves me! ), then head to Pourboy for a delicious sandwich that won’t break the piggy bank. Speaking of piggies, Pourboy’s delicious croque madam with leg ham, comte gruyere, poached egg, dijon mustard and truffle on sourdough is far from boar-ing. For a superstar sandwich that’s full of yummy goodness and amped to the max, look no further than the ones on offer at Dannyboys Rockstar Sandwich Shop! And fans of this lunchtime haven always mob for The Hero, a delectable fusion of spicy chicken breast, mozzarella, red onion, lettuce and Dannyboy’s signature buffalo sauce. - the gourmand who eats her crusts.